Highlands Ranch Resort on Childs Meadow in Lassen National Forest offers the experience of “luxury in the forest” with rustic chic décor and premium amenities in our newly constructed cottages. 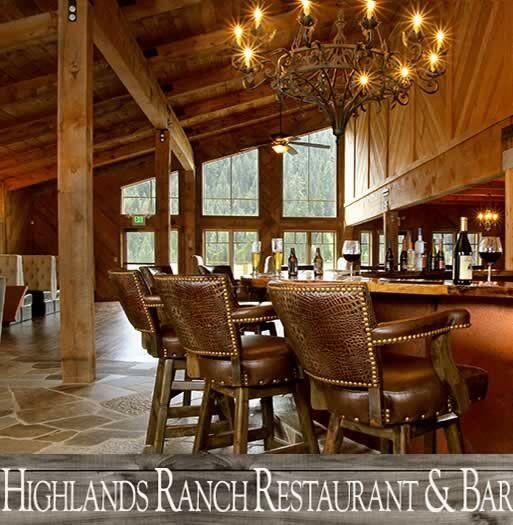 The Highlands Ranch Resort Lodge, Restaurant and Cottages are surrounded by the enchanting mountain and meadows that change colors with the seasons like a chameleon from wafting winter snow to warm summer days. The magical aura of this place will call you back again and again. Highlands Ranch Resort is a new destination resort located at the southwest gateway to Lassen Volcanic National Park in far Northern California, approximately an hour from Chico or Redding, and 3-4 hours from the Sacramento/Bay area. Experience the magic of the meadow and create your own memory-making adventure in each of the four seasons! An American Bistro restaurant, including a full bar with large wood-burning fireplace, was recently restored using reclaimed and repurposed materials. Enjoy fresh cuisine with an upscale, rustic chic vibe.